Qt 4.6 provides many improvements and enhancements over the previous releases in the Qt 4 series. This document covers the most important features in this release, separated by category. A list of other Qt 4 features can be found on the What's New in Qt 4 page. New Classes, Functions, Macros, etc. 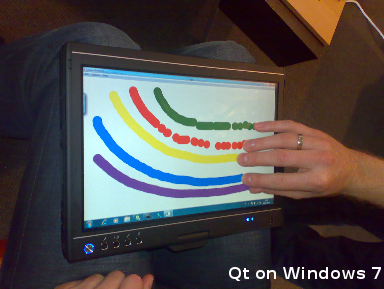 Qt 4.6 is the first release to include support for the Symbian platform, with integration into the S60 framework. The port to Symbian and S60 provides all functionality required to develop rich end-user applications for devices running S60 3.1 and later. See the The Symbian platform - Introduction to Qt for more information. The animation framework helps build highly animated, high-performance GUIs without the hassle of managing complex structures, timers, and easing curves, not to mention the large state graphs that all animated GUIs tend to be full of. The framework makes it easy to animate QObjects, including QWidgets, by allowing Qt properties to be animated. It also allows creating custom animations and interpolation functions. Graphics views are not left out; one can animate QGraphicsWidgets and new QGraphicsObjects which inherit from QGraphicsItem (and thereby enable properties). 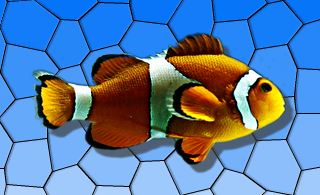 Animations are controlled using easing curves and can be grouped together. This enables animations of arbitrary complexity. The animation framework also plugs into the new Qt Statemachine by allowing an animation to be played when transitions are triggered. The state machine framework is introduced in 4.6 and is described below. See The Animation Framework documentation for more information. Use of states to reduce code bloat. Use states to improve maintainability. Makes event-driven programming robust and more reusable. It is especially the last item here that makes using a state machine worthwhile. A key characteristic of event-driven systems (such as Qt applications) is that behavior often depends not only on the last or current event, but also the events that preceded it. With statecharts, this information is easy to express. 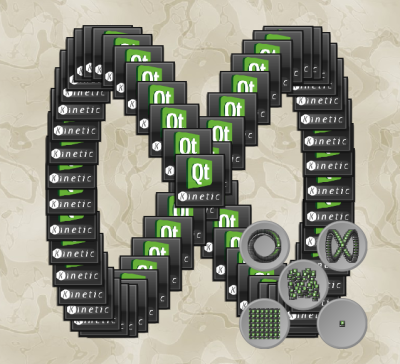 The framework fits neatly into Qt by allowing transitions to trigger on signals and QEvents. By inserting animations into the state machine, it is also easier to use the framework for animating GUIs, for instance. See The State Machine Framework documentation for more infromation. Support for multi-touch input enables users to interact with many parts of a user interface at the same time, and provides the basis for gestures. Additional infrastructure for gesture recognition allows a sequence of touch inputs to be combined to create gestures that can be used to activate features and trigger actions in an application. Allows users to interact with applications in more natural ways. Simplifies finger-based interaction with UI components. Combines support for common basic gestures and multi-touch gestures in a single general framework. See the QTouchEvent class documentation for more information on multi-touch input and QGestureEvent for gestures. Web pages and XML both have very complex document object models. The W3C selector API provides a very simple way to access and manipulate such structures. This API makes it intuitive to access DOM, helps reuse CSS selector knowledge, and gives little maintenance or footprint overhead. See the QWebElement class documentation for more information. Rewritten the QGraphicsView rendering algorithm. Made QPixmapCache support efficient Key datastructure. Added the QContiguousCache class, which provides efficient caching of contiguous data. Effects can be used to alter the appearance of UI elements such as QGraphicsItems and QWidgets. A couple of standard effects such as blurring, colorizing and drop shadow are provided, and it is possible to implement custom effects. See the QGraphicsEffect class documentation for more information. The QtXmlPatterns module can now be used to validate schemas, either through C++ APIs in the Qt application, or using the xmlpatternsvalidator command line utility. 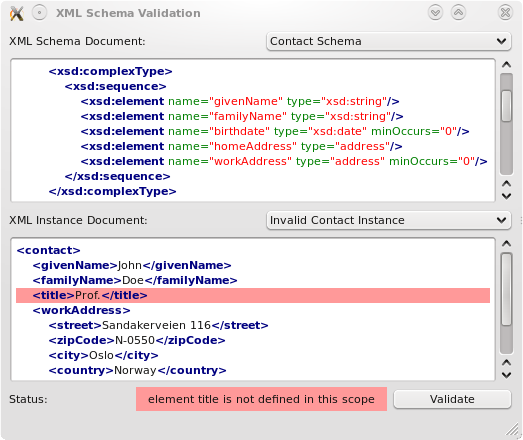 The implementation of XML Schema Validation supports the specification version 1.0 in large parts. See the XML Processing and QXmlSchema class documentation for more information. As more of Qt, and more of the applications built on Qt go 3D, API's should be provided to simplify this. Mainly, the new API aims to make it more easy to create 3D applications with OpenGL. 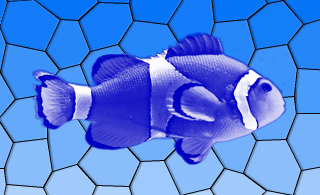 It will also unify the Qt OpenGL codebase, and enable cross-platform 3D codebase. The main features of the Qt3D enablers are currently: Math primitives for matrix multiplication, vectors, quaternions (client-side), and API for vertex and fragment shaders, GLSL/ES. Future research will, among other things include stencils, scissors, vertex buffers and arrays, texture manipulation, and geometry shaders. Qt 4.6 comes with new classes for handling audio. These classes provide low-level access to the system's audio system. By specifying the audio format (QAudioFormat) and supplying audio data through a QIODevice, you get direct access to the functionality of the sound device. The API also comes with functions to query audio devices for which audio formats they support. See the QtMultimedia Module documentation for more information. Links to new classes, functions, macros, and other items introduced in Qt 4.6.